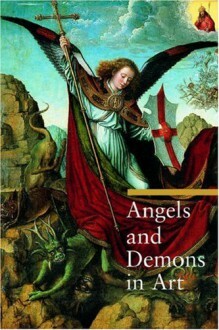 This sumptuously illustrated volume analyzes artists' representations of angels and demons and heaven and hell from the Judeo-Christian tradition and describes how these artistic portrayals evolved over time. As with other books in the Guide to Imagery series, the goal of this volume is to help contemporary art enthusiasts decode the symbolic meanings in the great masterworks of Western Art. The first chapter traces the development of images of the Creation and the Afterworld from descriptions of them in the Scriptures through their evolution in later literary and philosophical works. The following two chapters examine artists' depictions of the two paths that humans may take, the path of evil or the path of salvation, and the punishments or rewards found on each. A chapter on the Judgment Day and the end of the world explores portrayals of the mysterious worlds between life and death and in the afterlife. Finally, the author looks at images of angelic and demonic beings themselves and how they came to be portrayed with the physical attributes--wings, halos, horns, and cloven hooves--with which we are now so familiar. Thoroughly researched by and expert in the field of iconography, Angels and Demons in Art will delight readers with an interest in art or religious symbolism.